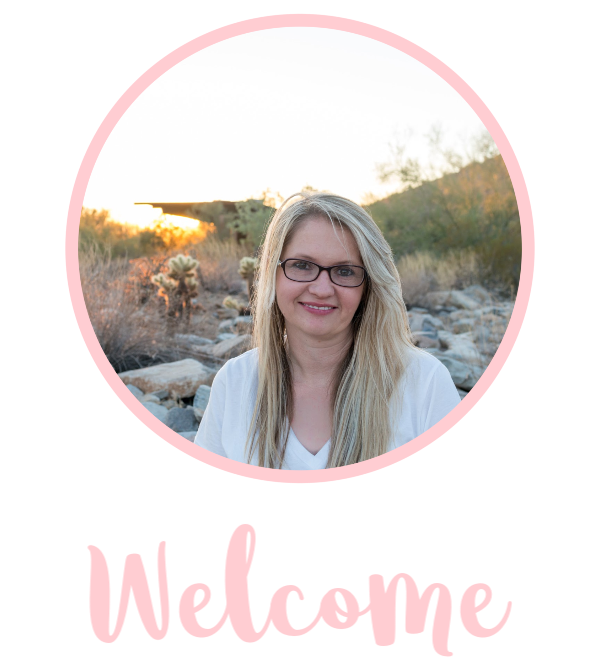 This post was first featured on https://www.theidearoom.net but now I am sharing it over here! 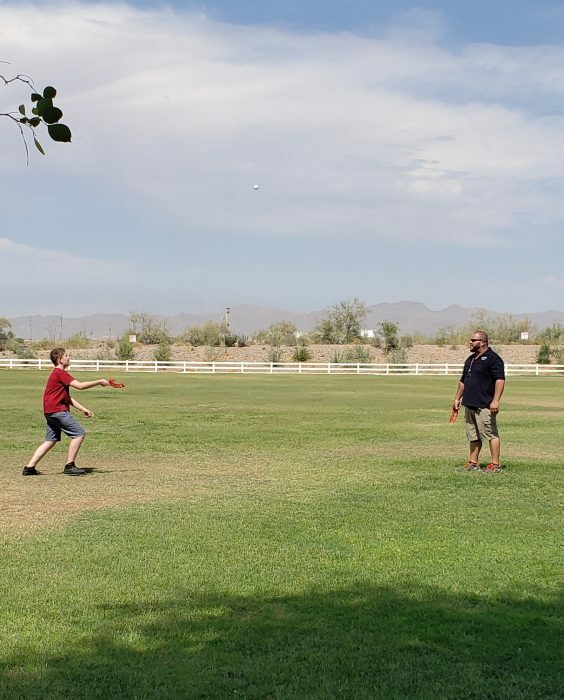 You’ve probably heard no less than 100 times this summer “I’m Bored!”. 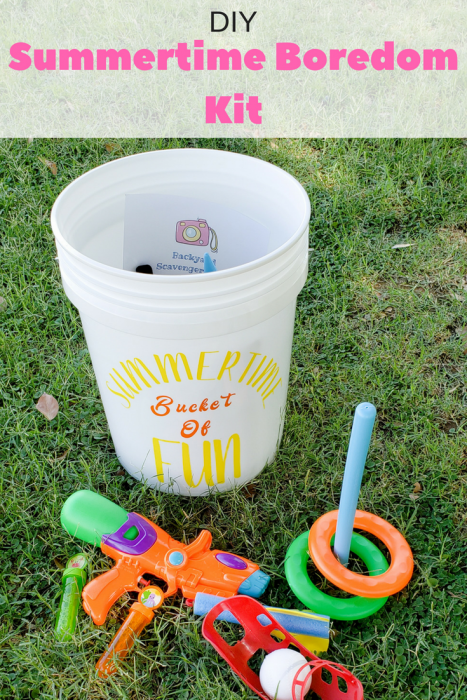 As moms, we have all heard it but I’ve created a fun summertime bucket that you can use to help fight the summer boredom! This kit is full of fun toys and activities that will keep them busy for hours. 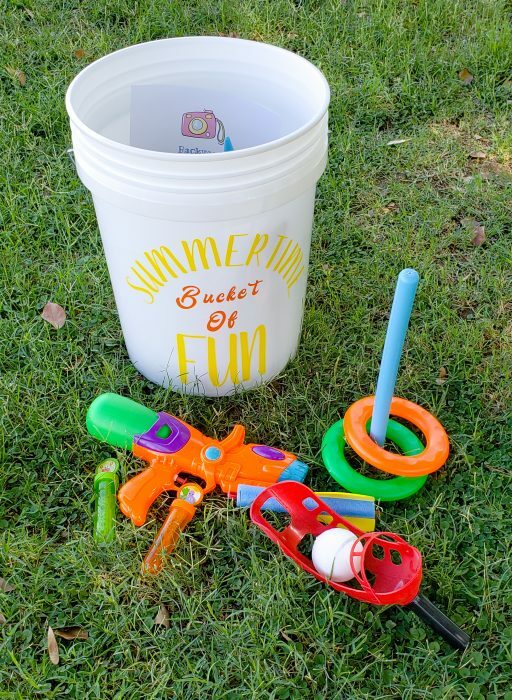 This bucket is from the hardware store full and is filled with toys from the dollar store and decorated with a vinyl cut out from the Cricut Maker. You can make these buckets for family picnics, camping trips, 4th of July gatherings and more! This bucket only took about 20 minutes to make and by purchasing the toys at the dollar store, this bucket only cost around $15 to create! 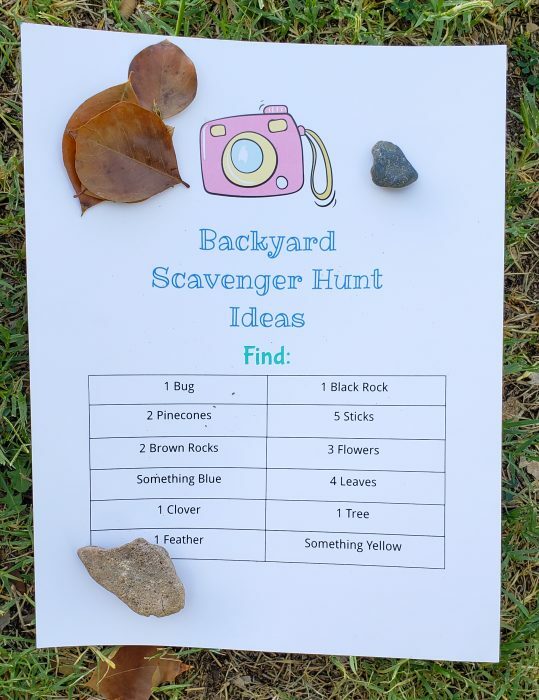 Print this FREE Backyard Scavenger Hunt list to put inside the bucket! If you want the list to use again, you can laminate it and then use a dry erase marker. 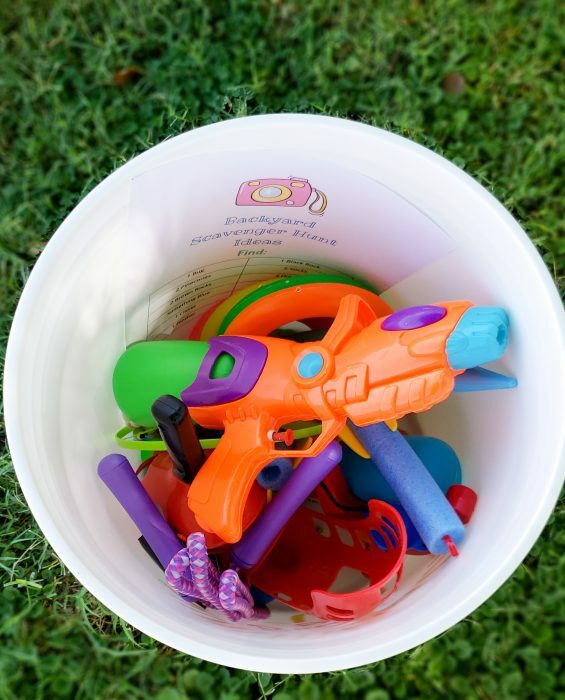 Next time your kids say that they are bored, you can pull out this bucket of fun outdoor things for them to do! You can also keep this in your car to take to the park or other outdoor spots!